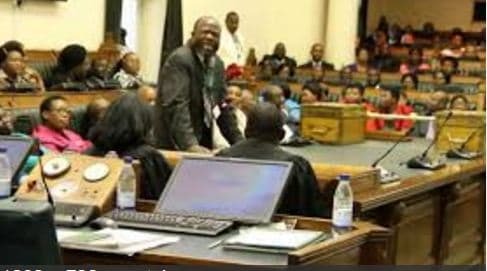 Yesterday, the Parliament of Zimbabwe debated the matter between the Zimbabwe National Road Authority (ZINARA) and local authorities, who are accusing each other for not doing much to maintain the roads. Recently, the mayor of Harare, Councillor Bernard Manyenyeni told a council meeting that residents should not expect the local authority to repair roads when it is not being given enough money by ZINARA. He in fact called for residents to raise their queries concerning the state of roads in the city with the road authority and not with Town House. On the other hand ZINARA maintains that it is remitting the funds as required by their mandate. Meanwhile, Honourable Jessie Majome told parliament on the state of urban roads that ZINARA took over the collection of termly vehicle licensing fees from the Harare City Council (HCC) and other local authorities, thereby incapacitating them. She said ZINARA is not giving HCC enough to refurbish the roads, and alleges that its disbursements system is not transparent, amid corruption. She proposed that the current set up be reversed so that the local authorities get the mandate to collect road revenues. “As for Harare, I have found out that the cause of the current state of our roads is lack of funding to HCC,” she told the House. She was seconded by Hon Webster Maondera who said it is true that the two (HCC and ZINARA) are counter pointing fingers at each other. “When you approach HCC they will tell you they only got less that $2 million from the collected $9 million. Where is remainder going?” he queried. He added that even the Auditor General’s reports can reveal that there is reckless handling of funds by ZINARA. However, Hon George Gangarahwe thought that there was some bias over how Majome was looking at the issue, as she was not balancing the blame. He said the HCC was also collecting money, which the local authority was failing to account for, but, Hon Majome did not point that element out. “Cars parked in the CBD for eight hours are paying $8/ day, at the rate of $1 every hour. At Mbare Musika buses pay $15 dollars on entry. I think they are collecting more than $1000 each day, but there is nothing to show for it. “The shades are dilapidated and vandalised, with the local authority doing nothing to fix,” he said. He chided the authority for being cry babies by clamouring for more funds while failing to account for what they have at hand. He added that HCC is also collecting money for water on behalf of the Zimbabwe National Water Authority (ZINWA) but again failing to repair the pipes and reservoirs. “I am not opposing that ZINARA should hand over the collection of licence fees to local authorities. But what I am saying is that HCC should account for all the monies they are collecting so far that we can judge them on their performance,” he told the House.